You are a police officer. This is what you do. You speak for the dead, and the desperate living. Anna Cameron is a new Sergeant in the Flexi Unit. On her first day in the new job she discovers she'll be working with her ex, Jamie. In at the deep end emotionally, she's also plunged headlong into the violent underworld of Glasgow's notorious Drag - the haunt of working girls, drug dealers and sad, seedy men. Cath Worth, Jamie's wife, watches jealously from the sidelines, having given up police work to raise their child. Anna's life could have been hers; hers could have been Anna's. 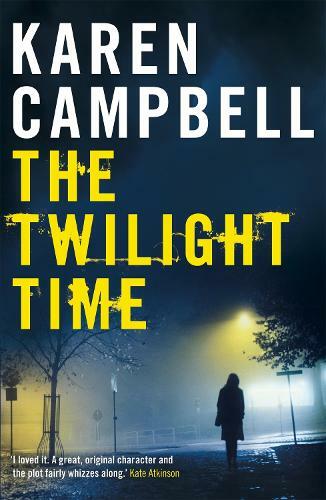 When Cath attempts to get involved in a situation she is no longer equipped or entitled to tackle, the consequences for both women could be far-reaching..
Atmospheric, affecting and beautifully written, THE TWILIGHT TIME is a stunning crime debut from a remarkably talented new writer.